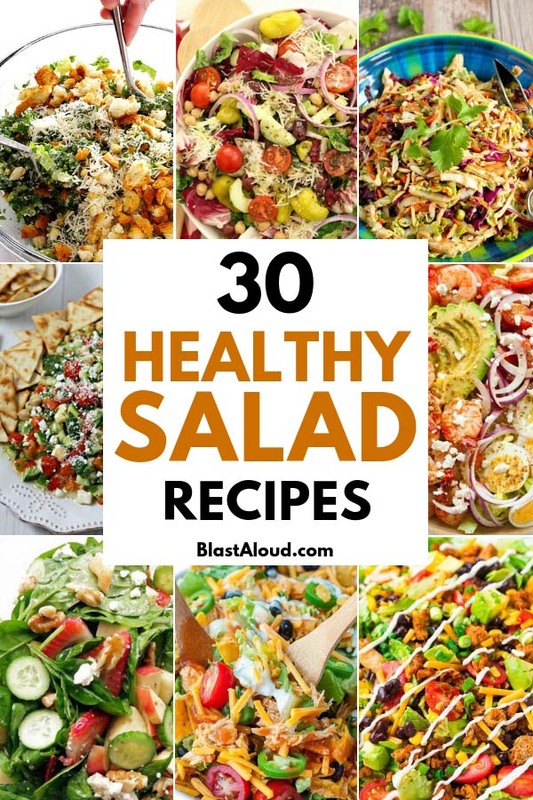 Hope you enjoy and make some of these healthy salad recipes. Or at least get some inspiration to throw your own salad together. So whether you’re looking for something sweet, something sour, or something savory, we’ve got you covered! To view the full instructions for any of these healthy salad recipes, please follow the link below the images. 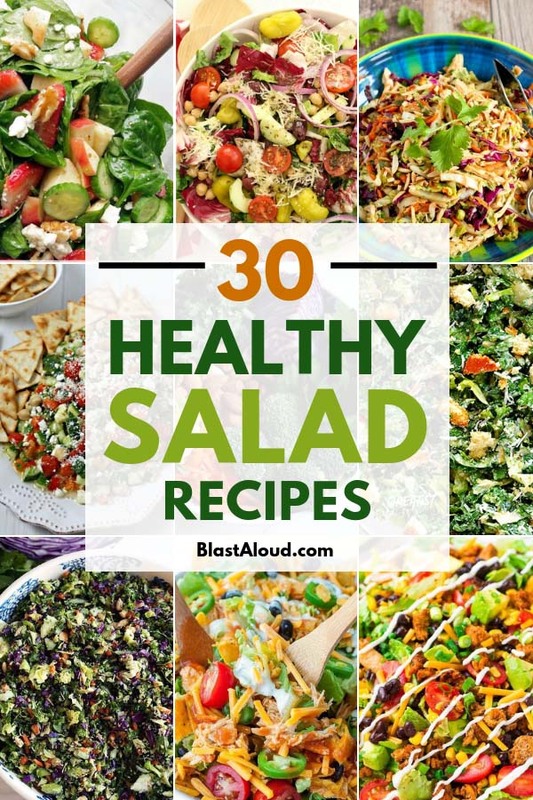 Don’t forget to pin this roundup of healthy salad recipes to your healthy salad recipes board on Pinterest! That way you can easily get back to it later when you’re looking to make that perfect salad!